Any kind of profession would have its own language that may sound foreign to other people. Such is also the case with the roofing industry. That being the case, an understanding of this jargon can help one connect better with the service provider and get the right material that they need. In the world of roofing contractors, here are some of the terms that you might need to be familiar with. Sheathing is considered the basic part of a roof. It refers to the board that serves as the base for the roof covering. Although typically made of wood, it can also be made from other materials. In some cases, they are also referred to as decking. Compo is short for composition shingle. It is a kind of roofing material that is made from asphalt and fiberglass mat. It features ceramic coated granules on its surface. There are three types of composition shingles that you can choose from – 3-tab shingles, laminate shingles, and architectural shingle. Its popularity is due to its affordability as well as availability in various textures and colors. Nesting is typically done by roofing contractors in Palo Alto, CA when your roof’s shingles have started to warp or come off. It involves putting a new layer of shingles over the new one using a specific pattern. Nesting prevents the underlying edges of the shingles to bridge through. Keep in mind that, when this happens, the shingles become weak and could easily come off. Eaves refer to the end part of the roof that hang over the walls of your home. Some of the most common problems that you have to deal with when it comes to eaves would include ice damming, peeling shingles, and water damage. 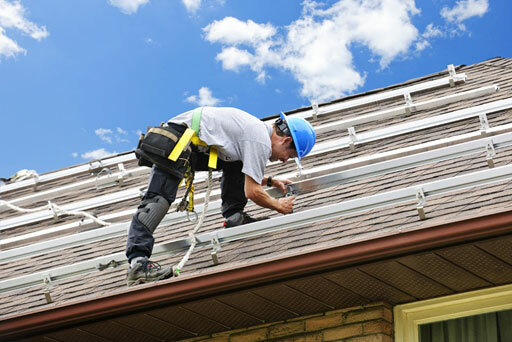 One of the most common procedures when it comes to roof repairs would be flashing. This term refers to the weatherproofing of the roof via the installation of impervious materials. Depending on the roofing material used, flashing can come in the form of birch bark, metal, plastic, or rubber. It is typically placed in areas protruding from the roof where water gets deflected away from the house. Now, while flashing is commonly related to roofing, it can also be done with your home’s wall, steps, chimney, and doors. Now that you are familiar with the different roofing jargon, you would now be able to discuss your concerns and questions more clearly with your contractor.